The Canadian AIDS Memorial Quilt has its roots in San Francisco, where a group of people came together in 1987 to create a living memory for those who have died of AIDS-related causes. In 1989, the U.S. AIDS Memorial Quilt went on tour across the United States and Canada. Many cities in Canada hosted their own displays, where they received hundreds of new panels that were created in memory of those who lost their lives during the HIV/AIDS crisis. 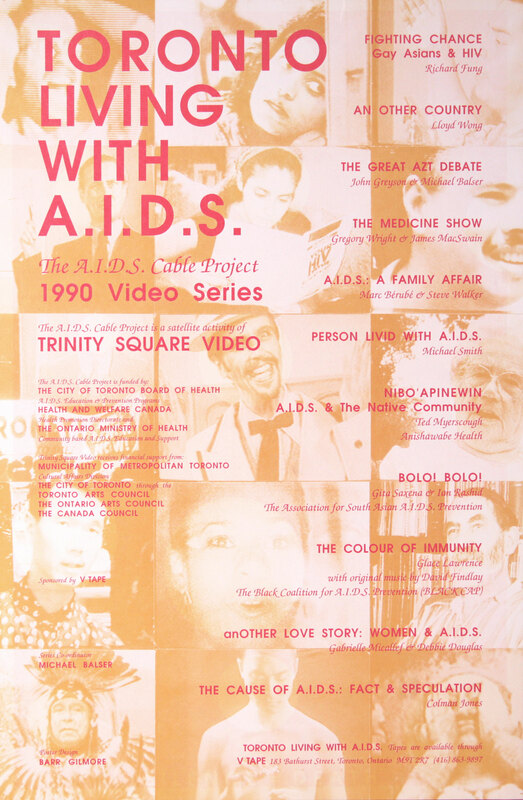 These panels formed the basis for what is now the Canadian AIDS Memorial Quilt, which is comprised of more than 640 panels and over 80 sections. Image of person standing in front of the Nova Scotia PWA Panel from May 1989. Image available here. Today, the Canadian AIDS Memorial Quilt is under the care of the Canadian AIDS Society. Their newly redesigned website features a virtual viewing experience, where visitors can search through and explore individual panels and sections. 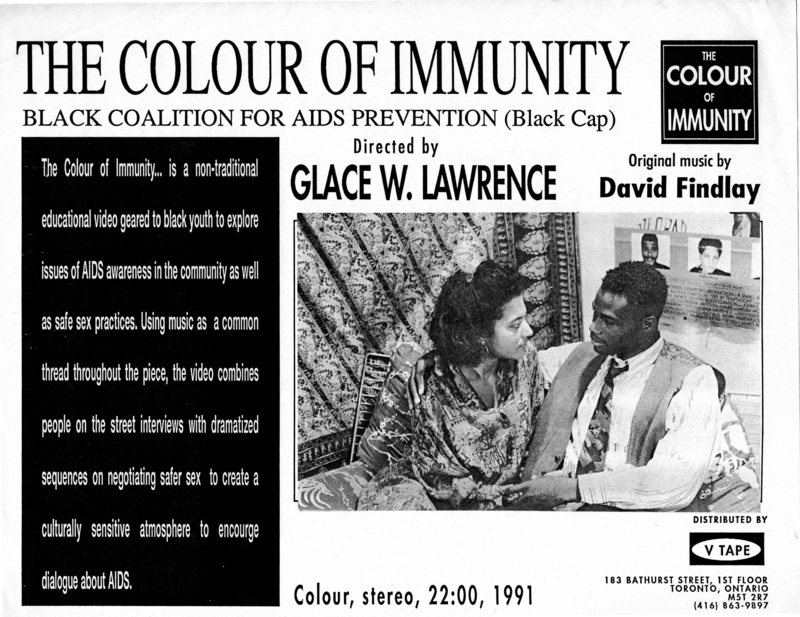 A living memorial of those whose lives have been lost, the Quilt is an important part of the rich history of HIV/AIDS-related activism and resistance in the Canadian context. 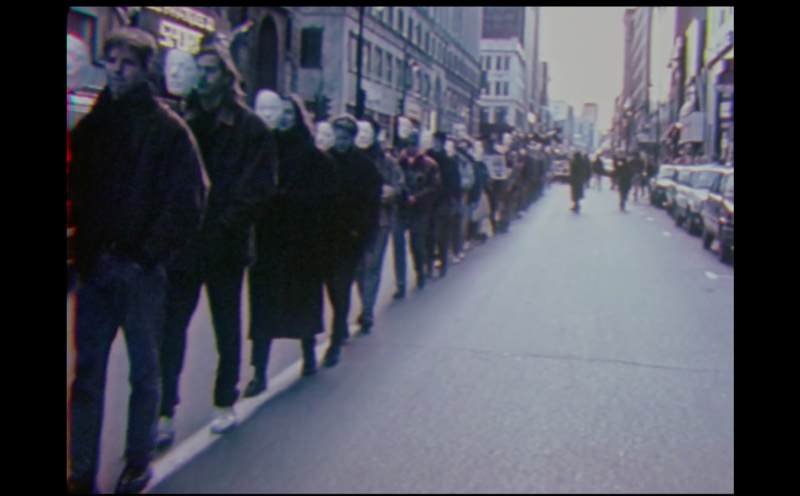 Please join the AIDS Activist History Project for a video screening of ALTERNATE ENDINGS, RADICAL BEGINNINGS, the 28th annual iteration of Visual AIDS’ longstanding Day With(out) Art project. Curated by Erin Christovale and Vivian Crockett for Visual AIDS, the video program prioritizes Black narratives within the ongoing AIDS epidemic, commissioning seven new and innovative short videos from artists Mykki Blanco, Cheryl Dunye & Ellen Spiro, Reina Gossett, Thomas Allen Harris, Kia Labeija, Tiona Nekkia McClodden and Brontez Purnell. In spite of the impact of HIV/AIDS within African, Craibbean, and Black communities, these stories and experiences are constantly excluded from larger artistic and historical narratives. In 2016 African Americans represented 44% of all new HIV diagnoses in the United States. As of 2014, African, Caribbean, and Black communities represented an estimated 16% of people living with HIV in Canada, while representing only 2.5% of the population. Given this context, it is increasingly urgent to feature a myriad of stories that consider and represent the lives of those housed within these statistic. ALTERNATE ENDINGS, RADICAL BEGINNINGS seeks to highlight the voices of those that are marginalized within broader African, Caribbean, and Black communities, including queer and trans people. -Bus tickets will be available for transportation. -ASL translation and French whisper translation is available. Please email us (aidsactivisthistory<at>gmail.com) if you would like translation by November 17th. -We request all participants refrain from wearing scents to better allow people with chemical sensitivities to attend. -If you have any other accessibility questions not answered here, please get in touch. Kids are welcome to attend; there will not be separate childminding, however.